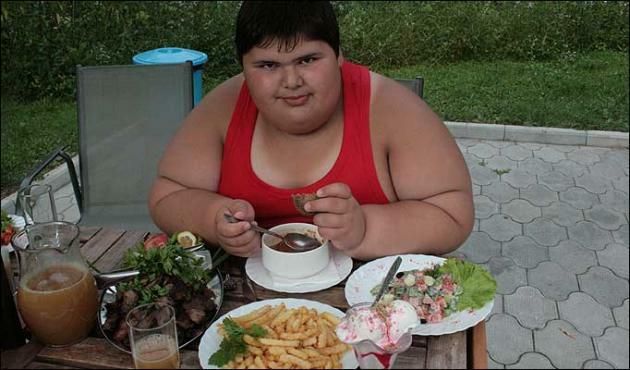 Dzhambik Khatokhov, 9, is believed to be the world's fattest child at 146kg (324 pounds). His height is 150 cm (5ft). But the wrestling fanatic insists he is happy with his size and has no intention of losing weight. His mother, Nelya, 42, claims Jambik is like any other healthy child. She refuses to put him on a diet despite severe health warnings. In a recent interview with The Sun, Nelya said, "He is just growing - upwards and outwards. What can I do about it? This is who he is, this is how God created him." Jambik hopes to become a professional wrestler in the future. 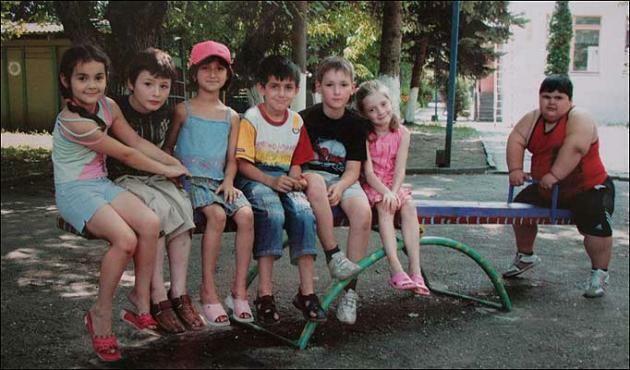 Of his dream he comments, "I want to be a sportsman when I grow up. Or better, an Olympic champion! I like to be strong!" It is his dream that currently put Jambik on a diet of porridge and ice cream, after being told he needed to do so if he wants to win gold for Russia at the Olympics. Jambik, who wears size-eight adult shoes and weighs the equivalent of a baby elephant, lives with his elder brothers Rezvan, 21, and Mukhamed, 17, who are slim and of medium height.